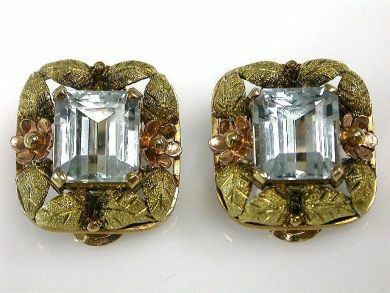 One pair of 18 karat yellow and rose gold floral earrings. Two aquamarines (9.60 carats). The aquamarines are framed with yellow and rose gold floral design.